INTRODUCTION: I do not often post an entire speech but I think that Senator Sanders’s talk deserves our attention in a time in which American leadership is imperiled . We have heard too much nonsense and in Trump’s UN speech cruel and distorted words from our “leader of the free world.” But worse actions destructive of all that America helped build in the post WW II period not least addressing the global climate change in Paris Accord and the Iran nuclear deal that denies that country nuclear weapons. Sanders also addresses the many assistance programs to deal with our global challenges. We are, as Sander’s notes, indeed threatened by mostly by our own stupidity and greed and selfishness. Now we have some worlds of hope which we need to heed. “Let me begin by thanking Westminster College, which year after year invites political leaders to discuss the important issue of foreign policy and America’s role in the world. I am honored to be here today and I thank you very much for the invitation. What Eisenhower said over 50 years ago is even more true today. Foreign policy is about whether we continue to champion the values of freedom, democracy and justice, values which have been a beacon of hope for people throughout the world, or whether we support undemocratic, repressive regimes, which torture, jail and deny basic rights to their citizens. What foreign policy also means is that if we are going to expound the virtues of democracy and justice abroad, and be taken seriously, we need to practice those values here at home. That means continuing the struggle to end racism, sexism, xenophobia and homophobia here in the United States and making it clear that when people in America march on our streets as neo-nazis or white supremacists, we have no ambiguity in condemning everything they stand for. There are no two sides on that issue. My point is that we need to look at foreign policy as more than just the crisis of the day. That is important, but we need a more expansive view. How do we meet that challenge today? How do we fight for the “freedom and progress” that Churchill talked about in the year 2017? At a time of exploding technology and wealth, how do we move away from a world of war, terrorism and massive levels of poverty into a world of peace and economic security for all. How do we move toward a global community in which people have the decent jobs, food, clean water, education, health care and housing they need? These are, admittedly, not easy issues to deal with, but they are questions we cannot afford to ignore. At the outset, I think it is important to recognize that the world of today is very, very different from the world of Winston Churchill of 1946. Back then we faced a superpower adversary with a huge standing army, with an arsenal of nuclear weapons, with allies around the world, and with expansionist aims. Today the Soviet Union no longer exists. Today we face threats of a different sort. 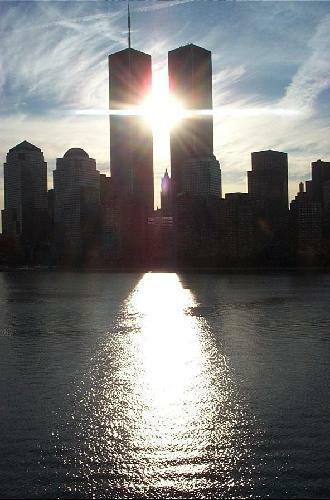 We will never forget 9/11. We are cognizant of the terrible attacks that have taken place in capitals all over the world. We are more than aware of the brutality of ISIS, Al Qaeda, and similar groups. We also face the threat of these groups obtaining weapons of mass destruction, and preventing that must be a priority. In recent years, we are increasingly confronted by the isolated dictatorship of North Korea, which is making rapid progress in nuclear weaponry and intercontinental ballistic missiles. Yes, we face real and very serious threats to our security, which I will discuss, but they are very different than what we have seen in the past and our response must be equally different. But before I talk about some of these other threats, let me say a few words about a very insidious challenge that undermines our ability to meet these other crises, and indeed could undermine our very way of life. A great concern that I have today is that many in our country are losing faith in our common future and in our democratic values. For far too many of our people, here in the United States and people all over the world, the promises of self-government — of government by the people, for the people, and of the people — have not been kept. And people are losing faith. In the United States and other countries, a majority of people are working longer hours for lower wages than they used to. They see big money buying elections, and they see a political and economic elite growing wealthier, even as their own children’s future grows dimmer. So when we talk about foreign policy, and our belief in democracy, at the very top of our list of concerns is the need to revitalize American democracy to ensure that governmental decisions reflect the interests of a majority of our people, and not just the few – whether that few is Wall Street, the military industrial complex, or the fossil fuel industry. We cannot convincingly promote democracy abroad if we do not live it vigorously here at home. In both Europe and the United States, the international order which the United States helped establish over the past 70 years, one which put great emphasis on democracy and human rights, and promoted greater trade and economic development, is under great strain. Many Europeans are questioning the value of the European Union. Many Americans are questioning the value of the United Nations, of the transatlantic alliance, and other multilateral organizations. We also see a rise in authoritarianism and right wing extremism – both domestic and foreign — which further weakens this order by exploiting and amplifying resentments, stoking intolerance and fanning ethnic and racial hatreds among those in our societies who are struggling. We saw this anti-democratic effort take place in the 2016 election right here in the United States, where we now know that the Russian government was engaged in a massive effort to undermine one of our greatest strengths: The integrity of our elections, and our faith in our own democracy. I found it incredible, by the way, that when the President of the United States spoke before the United Nations on Monday, he did not even mention that outrage. Well, I will. Today I say to Mr. Putin: we will not allow you to undermine American democracy or democracies around the world. In fact, our goal is to not only strengthen American democracy, but to work in solidarity with supporters of democracy around the globe, including in Russia. In the struggle of democracy versus authoritarianism, we intend to win. When we talk about foreign policy it is clear that there are some who believe that the United States would be best served by withdrawing from the global community. I disagree. As the wealthiest and most powerful nation on earth, we have got to help lead the struggle to defend and expand a rules-based international order in which law, not might, makes right. We must offer people a vision that one day, maybe not in our lifetimes, but one day in the future human beings on this planet will live in a world where international conflicts will be resolved peacefully, not by mass murder. How tragic it is that today, while hundreds of millions of people live in abysmal poverty, the arms merchants of the world grow increasingly rich as governments spend trillions of dollars on weapons of destruction. It has become fashionable to bash the UN. And yes, the UN needs to be reformed. It can be ineffective, bureaucratic, too slow or unwilling to act, even in the face of massive atrocities, as we are seeing in Syria right now. But to see only its weaknesses is to overlook the enormously important work the UN does in promoting global health, aiding refugees, monitoring elections, and doing international peacekeeping missions, among other things. All of these activities contribute to reduced conflict, to wars that don’t have to be ended because they never start. At the end of the day, it is obvious that it makes far more sense to have a forum in which countries can debate their concerns, work out compromises and agreements. Dialogue and debate are far preferable to bombs, poison gas, and war. Dialogue however cannot only be take place between foreign ministers or diplomats at the United Nations. It should be taking place between people throughout the world at the grassroots level. I was mayor of the city of Burlington, Vermont, in the 1980’s, when the Soviet Union was our enemy. We established a sister city program with the Russian city of Yaroslavl, a program which still exists today. I will never forget seeing Russian boys and girls visiting Vermont, getting to know American kids, and becoming good friends. Hatred and wars are often based on fear and ignorance. The way to defeat this ignorance and diminish this fear is through meeting with others and understanding the way they see the world. Good foreign policy means building people to people relationships. We should welcome young people from all over the world and all walks of life to spend time with our kids in American classrooms, while our kids, from all income levels, do the same abroad. These are just a few examples of American foreign policy and interventionism which proved to be counter-productive. Now let me give you an example of an incredibly bold and ambitious American initiative which proved to be enormously successful in which not one bullet was fired — something that we must learn from. Shortly after Churchill was right here in Westminster College, the United States developed an extremely radical foreign policy initiative called the Marshall Plan. Think about it for a moment: historically, when countries won terrible wars, they exacted retribution on the vanquished. But in 1948, the United States government did something absolutely unprecedented. After losing hundreds of thousands of soldiers in the most brutal war in history to defeat the barbarity of Nazi Germany and Japanese imperialism, the government of the United States decided not to punish and humiliate the losers. Rather, we helped rebuild their economies, spending the equivalent of $130 billion just to reconstruct Western Europe after World War II. We also provided them support to reconstruct democratic societies. That program was an amazing success. Today Germany, the country of the Holocaust, the country of Hitler’s dictatorship, is now a strong democracy and the economic engine of Europe. Despite centuries of hostility, there has not been a major European war since World War II. That is an extraordinary foreign policy success that we have every right to be very proud of. While we rightly condemn Russian and Iranian support for Bashar al-Assad’s slaughter in Syria, the United States continues to support Saudi Arabia’s destructive intervention in Yemen, which has killed many thousands of civilians and created a humanitarian crisis in one of the region’s poorest countries. Such policies dramatically undermine America’s ability to advance a human rights agenda around the world, and empowers authoritarian leaders who insist that our support for those rights and values is not serious. Let me say a word about some of the shared global challenges that we face today. First, I would mention climate change. Friends, it is time to get serious on this: Climate change is real and must be addressed with the full weight of American power, attention and resources. The scientific community is virtually unanimous in telling us that climate change is real, climate change is caused by human activity, and climate change is already causing devastating harm throughout the world. Further, what the scientists tell us is that if we do not act boldly to address the climate crisis, this planet will see more drought, more floods — the recent devastation by Hurricanes Harvey and Irma are good examples — more extreme weather disturbances, more acidification of the ocean, more rising sea levels, and, as a result of mass migrations, there will be more threats to global stability and security. President Trump’s decision to withdraw from the Paris agreement was not only incredibly foolish and short-sighted, but it will also end up hurting the American economy. The threat of climate change is a very clear example of where American leadership can make a difference. Europe can’t do it alone, China can’t do it alone, and the United States can’t do it alone. This is a crisis that calls out for strong international cooperation if we are to leave our children and grandchildren a planet that is healthy and habitable. American leadership — the economic and scientific advantages and incentives that only America can offer — is hugely important for facilitating this cooperation. Another challenge that we and the entire world face is growing wealth and income inequality, and the movement toward international oligarchy — a system in which a small number of billionaires and corporate interests have control over our economic life, our political life, and our media. This movement toward oligarchy is not just an American issue. It is an international issue. Globally, the top 1 percent now owns more wealth than the bottom 99% of the world’s population. In other words, while the very, very rich become much richer, thousands of children die every week in poor countries around the world from easily prevented diseases, and hundreds of millions live in incredible squalor. Inequality, corruption, oligarchy and authoritarianism are inseparable. They must be understood as part of the same system, and fought in the same way. Around the world we have witnessed the rise of demagogues who once in power use their positions to loot the state of its resources. These kleptocrats, like Putin in Russia, use divisiveness and abuse as a tool for enriching themselves and those loyal to them. But economic inequality is not the only form of inequality that we must face. As we seek to renew America’s commitment to promote human rights and human dignity around the world we must be a living example here at home. We must reject the divisive attacks based on a person’s religion, race, gender, sexual orientation or identity, country of origin, or class. And when we see demonstrations of neo naziism and white supremacism as we recently did in Charlottesville, Virginia, we must be unequivocal in our condemnation, as our president shamefully was not. And as we saw here so clearly in St. Louis in the past week we need serious reforms in policing and the criminal justice system so that the life of every person is equally valued and protected. We cannot speak with the moral authority the world needs if we do not struggle to achieve the ideal we are holding out for others. One of the places we have fallen short in upholding these ideas is in the war on terrorism. Here I want to be clear: terrorism is a very real threat, as we learned so tragically on September 11, 2001, and many other countries knew already too well. We must rethink the old Washington mindset that judges “seriousness” according to the willingness to use force. One of the key misapprehensions of this mindset is the idea that military force is decisive in a way that diplomacy is not. Yes, military force is sometimes necessary, but always — always — as the last resort. And blustery threats of force, while they might make a few columnists happy, can often signal weakness as much as strength, diminishing US deterrence, credibility and security in the process. To illustrate this, I would contrast two recent US foreign policy initiatives: The Iraq war and the Iran nuclear agreement. Today it is now broadly acknowledged that the war in Iraq, which I opposed, was a foreign policy blunder of enormous magnitude. In addition to the many thousands killed, it created a cascade of instability around the region that we are still dealing with today in Syria and elsewhere, and will be for many years to come. Indeed, had it not been for the Iraq War, ISIS would almost certainly not exist. The Iraq war, as I said before, had unintended consequences. It was intended as a demonstration of the extent of American power. It ended up demonstrating only its limits. In contrast, the Iran nuclear deal advanced the security of the US and its partners, and it did this at a cost of no blood and zero treasure. For many years, leaders across the world had become increasingly concerned about the possibility of an Iranian nuclear weapon. What the Obama administration and our European allies were able to do was to get an agreement that froze and dismantled large parts of that nuclear program, put it under the most intensive inspections regime in history, and removed the prospect of an Iranian nuclear weapon from the list of global threats. That is real leadership. That is real power. Just yesterday, the top general of US Strategic Command, General John Hyden, said “The facts are that Iran is operating under the agreements the we signed up for.” We now have a four-year record of Iran’s compliance, going back to the 2013 interim deal. I call on my colleagues in the Congress, and all Americans: We must protect this deal. President Trump has signaled his intention to walk away from it, as he did the Paris agreement, regardless of the evidence that it is working. That would be a mistake. Not only would this potentially free Iran from the limits placed on its nuclear program, it would irreparably harm America’s ability to negotiate future nonproliferation agreements. Why would any country in the world sign such an agreement with the United States if they knew that a reckless president and an irresponsible Congress might simply discard that agreement a few years later? If we are genuinely concerned with Iran’s behavior in the region, as I am, the worst possible thing we could do is break the nuclear deal. It would make all of these other problems harder. Another problem it would make harder is that of North Korea. Let’s understand: North Korea is ruled by one of the worst regimes in the world. For many years, its leadership has sacrificed the well-being of its own people in order to develop nuclear weapons and missile programs in order to protect the Kim family’s regime. Their continued development of nuclear weapons and missile capability is a growing threat to the US and our allies. Despite past efforts they have repeatedly shown their determination to move forward with these programs in defiance of virtually unanimous international opposition and condemnation. As we saw with the 2015 nuclear agreement with Iran, real US leadership is shown by our ability to develop consensus around shared problems, and mobilize that consensus toward a solution. That is the model we should be pursuing with North Korea. As we did with Iran, if North Korea continues to refuse to negotiate seriously, we should look for ways to tighten international sanctions. This will involve working closely with other countries, particularly China, on whom North Korea relies for some 80 percent of its trade. But we should also continue to make clear that this is a shared problem, not to be solved by any one country alone but by the international community working together. An approach that really uses all the tools of our power — political, economic, civil society — to encourage other states to adopt more inclusive governance will ultimately make us safer. Development aid is not charity, it advances our national security. It’s worth noting that the U.S. military is a stalwart supporter of non-defense diplomacy and development aid. Starving diplomacy and aid now will result in greater defense needs later on. US foreign aid should be accompanied by stronger emphasis on helping people gain their political and civil rights to hold oppressive governments accountable to the people. Ultimately, governments that are accountable to the needs of their people will make more dependable partners. Here is the bottom line: In my view, the United States must seek partnerships not just between governments, but between peoples. A sensible and effective foreign policy recognizes that our safety and welfare is bound up with the safety and welfare of others around the world, with “all the homes and families of all the men and women in all the lands,” as Churchill said right here, 70 years ago. In my view, every person on this planet shares a common humanity. We all want our children to grow up healthy, to have a good education, have decent jobs, drink clean water and breathe clean air, and to live in peace. That’s what being human is about. My friends, let us go forward and build that tomorrow. 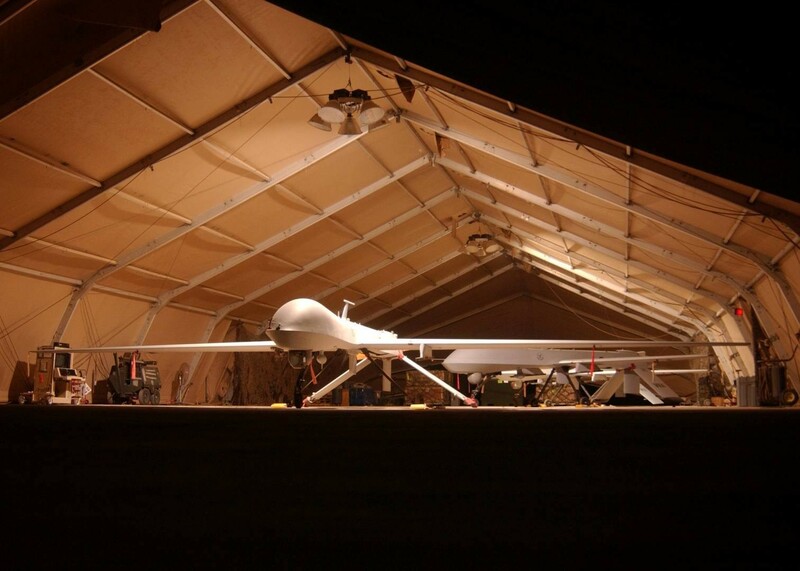 Drones and A “New Warfare”: Morals, Threats, Practicality, and Costs? There is a major on-going debate in America (and perhaps elsewhere) about the legality, morality, and the efficacy of the use of drones in warfare and targeted killings. This has been on-going for years, ever since the knowledge of drone attacks were made public before the Obama administration. After Obama came into office these attacks increased rather than diminished. In this post I will not address the international legal issues, which needs another examination. But, there are major moral, strategic and practical issues that do need added exploration. The first question is just why this means of “warfare” was developed and used and whether there are better and less problematic options. The first assumption must be, in this case, that there is adequate and compelling reasons to take down active and dangerous terrorists and their networks that pose an imminent threat to Americans and our allies. That is the fundamental “rationale” of our policy simply put. However, we must first acknowledge that the killing of innocent civilians has been a sad historic constant in almost all warfare in history, including our own times. Think of Japan’s brutal invasion and butchery of China in the 1930s, the widespread German killing of Jews and non-combatants in areas they invaded and occupied, the German bombing of London and the allied firebombing of Berlin and Dresden, the American atomic bombing of two cities in Japan and the even more destructive fire bombing of Tokyo. Think of the Serbian mass killing of civilians in Srebrenica, of Bosnian Muslims massacred in July 1995, or today the brutality of the Syrian civil war. The second reason for the decision to use drones was their ability to observe, from an advantaged and largely unseen point, ground activities. They are also able to attack without putting in danger our own military personnel and are able to deliver a pinpoint destructive force. This is not an inconsiderable advantage over insertion of major “boots on the ground” where civilians would still be at risk or large scale airplane bomber attacks or even the use of long-medium-short range missiles that do not have interactive “sight” of the immediate target. The other reality is that we are unlikely to abolish drones any more than we have been successful in abolishing nuclear or other WMD weapons. We have used drones, others are using them, and it is more likely they will become ubiquitous over time and will be used against us. Even more destructive “war weapons” have been and are now in use and few efforts are being made to abolish them. “The Obama administration’s covert drone program is on the wrong side of history. With each strike, Washington presents itself as an opponent of the rule of law, not a supporter. Not surprisingly, a foreign power killing people with no public discussion, or review of who died and why, promotes anger among Pakistanis, Yemenis and many others.” I largely agree with this assessment, but recognize it does not address what alternative better options are available that have less negative impact. My view is that drones provide so many “advantages” to the using nation, that drones will be an element of warfare as are missiles, planes, and cyber warfare efforts. This is simply a statement of reality not an ethical judgment. But in making policy decisions this reality must be understood and evaluated. But, we do need to look still at the moral and “efficacy” issues in their specific use and the context in which they are used. To be realistic we need to recognize that the key to this issue is to clearly and publicly define and regulate their use and to ask the question of alternatives and better options and their real efficacy, including “unintended consequences,” which frankly we have already seen in the context of Afghanistan and Pakistan. On the moral dimension, the key question is frankly not “taking out terrorists,” no nation can just stand down if there are individuals or groups that aim to do what happened in 9/11 or to attack our troops or civilians. So, the question is when and how and especially can one eliminate or diminish civilian casualties. One criteria the new “ground rules” contain is whether alternative means are more dangerous to our people or are basically infeasible. One major problem of the use of drones, and frankly, any kind of kinetic warfare on the ground, is the “blowback,” i.e. the likelihood when civilians are also killed, that there is a creation of further terrorists and the continued cycle of unending conflict such acts engender. So, what is the key to looking at “drones,” or to be more precise and focused, how do we develop a smart strategy that can both reduce the dangers of terrorism and conflicts and thus the use of drones and indeed other large scale weapons of even greater destruction – a policy of preventive actions, that are pro-active to the undermining causes of conflict and terrorism. With all of these realities and constraints and military objectives, the key question is what can be done to minimize terrorism, the use of lethal military force, and the societal dysfunction which breeds hatreds, despair, and terrorist motivation? First, as I have implied, the “drone debate” has been too narrow and our “moral” perspective needs a wider context. We need to approach the present strategic terrorist threat or indeed conflict syndrome, in a longer range and preemptive approach. Second, we need new “tools” that are more efficacious and discreet. That also means we need to know more about the causes and realities of those who feel they are most aggrieved and most marginalized. Poverty is clearly one element that the global community has still not seriously addressed. Another is the development of religious or ideological ideology that puts force and indifference to human suffering at the center of its strategy and belief. One simple fact is mass unemployment and the despair created provides no path towards upward mobility and political participation. The other element is the existence of authoritarian rule, which does not respond to broad basic citizen needs. The problem is that there is no broad citizen and political “constituency” for this kind of civilian diplomatic “nation building.” It is easier to get funding for drones and largely useless fighter and bomber planes than for educational projects or job creating programs in failing and at-risk nations. In short, we need a more careful assessment of the use of force generally and unintended consequences, but even more of looking at how to create programs that both support human rights, democratic norms, and not least economic development that reaches deep to those most in need and disaffected elements in at-risk states and regions. Getting there early, understanding the change forcing trends and events, and the perspective of the affected citizens and leaders and then designing effective intervention modalities and recognizing the long term nature of the task at hand. Also, tools of public diplomacy, peacemaking, strong international intervention in disputes and unrest when needed, and above all a global consensus towards strong humanitarian program capabilities and on the ground intervention when possible. Drones, in short, are more a result of a dysfunctional and high risk world, they are not the cause. We need to control their use better, but also look beyond. Today, as in the past, since the first anniversary, we commemorate that terrible day and its losses. Yet the key to that day is also to understand the forces that initiated those attacks and find a more fundamental way to turn those acts of hate and destruction from gaining a grip on our society and altering our own democracy and way of life. Nor should they distort our perspective on our own role in the world, our own moral values, and our nation’s role to help make this frail globe a more peaceful and just environment. Too often we have lost our way and abandoned some of our long held values that have made our country the most respected in the world. Perhaps the most important thing to remember is not to let terrorism and the terrorists consume our efforts, our thoughts, and our policies to the detriment of other fundamental challenges we are facing in the fast changing and complex world. In “rethinking national security,” we need to realize that we can better defeat the forces of hate by addressing more basic and larger issues which have brought so many to desperation, despair, hatred and senseless violence. Certainly, terrorism feeds on poverty even if some terrorists are not poor. It feeds on prejudice. It feeds on ignorance. It is these that we need to address for the cost they bear on any society as they are the breeding ground for terrorism. We should not let terrorism defeat our larger purposes and more important challenges. If we can keep our sense of proportion and wise perspective, we can address the real dangers to our world and terrorism will lose, not gain. And we will not lose our souls.